The Venezuelan snap presidential election has Latin America enthralled this week and so Latin Pulse turns its full attention this week to pre-election politics. 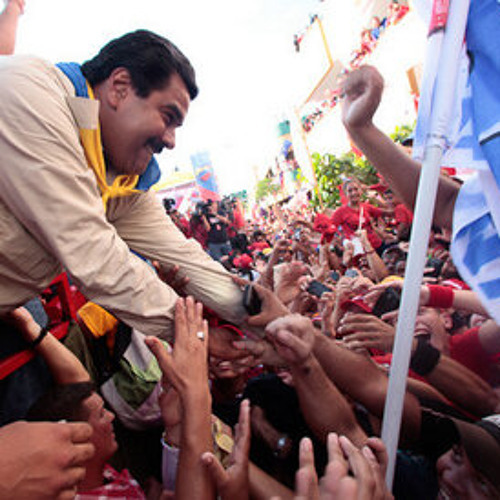 The program focuses on the candidates: Interim President Nicolas Maduro and Governor Henrique Capriles Radonski. Some of the discussion deals with inequities during the campaign and how Capriles is trailing in the polls. The program also looks at Maduro's record and discusses the potential for diplomacy between the United States and Venezuela moving forward. The program includes analysis from both Washington, D.C. and Caracas. The program includes in-depth interviews with: David Smilde of the University of Georgia; and Alex Main of the Center for Economic & Policy Research. Executive Producer: Rick Rockwell Associate Producer: Curt Devine Writer: Zach Cohen. The photo of Venezuela’s Interim President Nicolas Maduro campaigning is from the Venezuelan government and is in the public domain. @user249077353: Thanks for making your presence known and thanks for listening.